"Chase down Eddie's killer, then bring him back." A24 has debuted a trailer for western drama The Ballad of Lefty Brown, from filmmaker Jared Moshe, which first premiered at the SXSW Film Festival this year. Bill Pullman stars as washed-up sidekick Lefty Brown, who watches his longtime friend/partner murdered before his eyes. He decides to go after the killer, rallying a group of people to support him, including an old, experienced gunhand and a young cowboy. The full cast includes Kathy Baker, Jim Caviezel, Tommy Flanagan, Diego Josef, and Joe Anderson, with an appearance by Peter Fonda as Lefty's murdered friend. This looks damn good, a moody revenge western with some real grit. Pullman seems great as always. Aging sidekick Lefty Brown (Bill Pullman) has ridden with Eddie Johnson (Peter Fonda) his entire life. But when a rustler kills Eddie, Lefty is forced from his partner’s shadow and must confront the ugly realities of frontier justice. 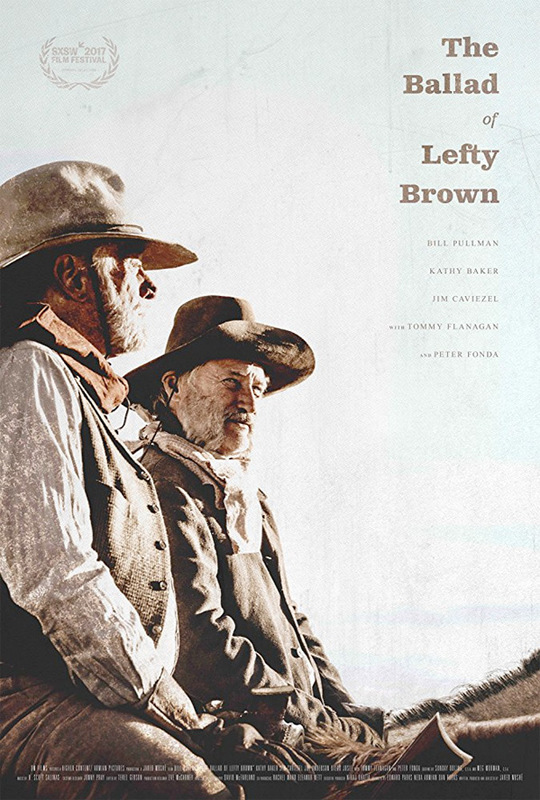 The Ballad of Lefty Brown is both written and directed by American filmmaker Jared Moshe, director of the western film Dead Man's Burden previously and some producing work as well. This premiered at the SXSW Film Festival, and also played at the Nantucket, Milwaukee, Zurich, Mill Valley, Tacoma, Woodstock, and Chicago Film Festivals this year. 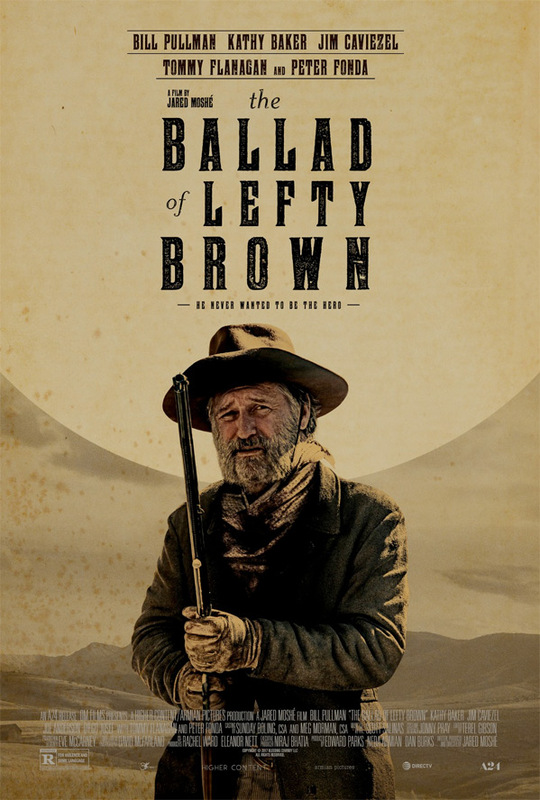 A24 will release Jared Moshe's The Ballad of Lefty Brown in select theaters starting on December 15th this fall. Thoughts on this? Who wants to see it?